For a long time, the last time of laptop battery has always been a key barrier for laptop computers in the process of development. Actually, many amazing functions cannot be realized due to the limitation in last time. However, Japan has produced a new laptop battery recently than can last for about 15 hours. 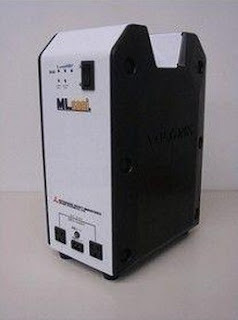 Mitsubishi Heavy Industries has issued a new lithium-ion laptop battery VOLTANK whose maximum output power can be about 500W. This product has been displayed in Tokyo that is regarded as a great revolution in the industry. Actually, this new product has already been sold to some corporate customers while it will be open to normal users later. They have also issued announcements that the battery is also of very good portability, compatibility and conveniently in stock. As a business backup power supply for enterprises, it can also supply enough power energy for field work and other wide use, which will be popular with large sales volume. Since 2011, Japan has suffered from great earthquake and guaranteed to sell some important equipments for enterprises. To supply more output power, it has invested more in production and operation to meet the increasing demands in laptop and other consumer electronic products. With lower than 500W output power, the laptop battery can last for up to 15 hours with connected to laptop and mains supply. On the other hand, this VOLTANK battery can rarely self discharge even if it is not in use for a long period. Comparatively, the normal Li-ion discount laptop batteries will be consumed in performance if laid aside for more than 3 months. In some urgent situations, it can even product the whole computer from overcharging with better secure performance. Normally, the input power of this VOLTANK laptop battery from Mitsubishi Heavy Industries is only of AC 100V. As for charge time, it also needs about 3 hours to fully charge. Although it seems to be amazing in functions, the size of this long lasting laptop battery is bigger than normal ones and of 13KG weight. It looks like it still needs a long way to go to take advantage of this new device in actual work. It will be more conveniently to use mouse on the finger, which can not only save more space but can move more smoothly than before. Only a simple action can lead the laptop system to complete the task or run other useful programs in normal use. As a 3D mouse on finger tip, it seems to have great help on dealing with the tasks on using the laptop while the fingers can move continuously among the keyboard, mouse or touch pad to decrease the work efficiency of laptop. Actually, this 3D mouse product has been put forward for a while while it is finally appeared in the market with a suitable price. Actually, this amazing laptop accessory has surprised the whole market a lot in many aspects. In terms of the function, this equipment can take advantage of 3D technology and space recognition technology without moving the whole right arm. It can conveniently navigate the mouse direction to anywhere users need on the laptop computer. 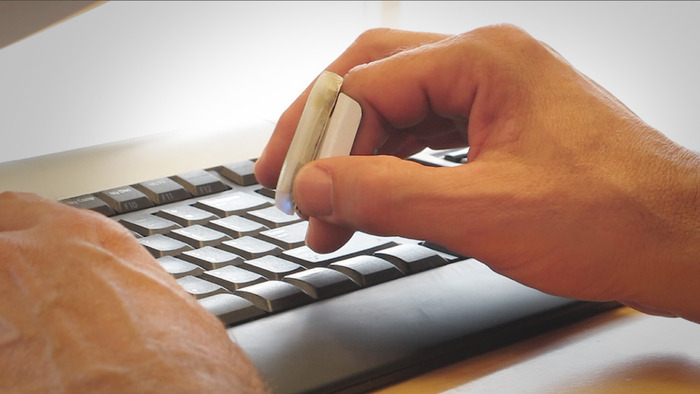 The details for 3D mouse functions include built-in battery by USB port, battery last time of up to 8 hours, equipped banjo splint of two sizes. Actually, it can last longer than most of computer batteries. On the appearance, it is also small enough as bluetooth headset and lightweight for users to carry and move smoothly. Of course, the shortcomings of this device come to be the applicability. As a matter of fact, users are used to play with traditional mouse even if it is not very conveniently. In addition, when working in public sites, it will be strange to take advantage of this 3D mouse with a new way. After all, most of users are not clear of this special device. Connected to the computer by Bluetooth, the maximum distance can be of 30 feet, which means it can even be used to play PPT. And this 3D mouse also supports iPad, iPhone, Andriod, and other smart phones and tablet computers in all places. Someone even said that it is similar to Xbox. At present, this 3D mouse cannot work for left-hander that can be put forward soon. Of course, if it is suitable, users need to try it by yourself in actual work.